Born at Mount Brydges, Ontario, he received a high school education at Strathroy, then graduated from the University of Toronto (Arts, 1899) and the Hamilton Normal School (1900). 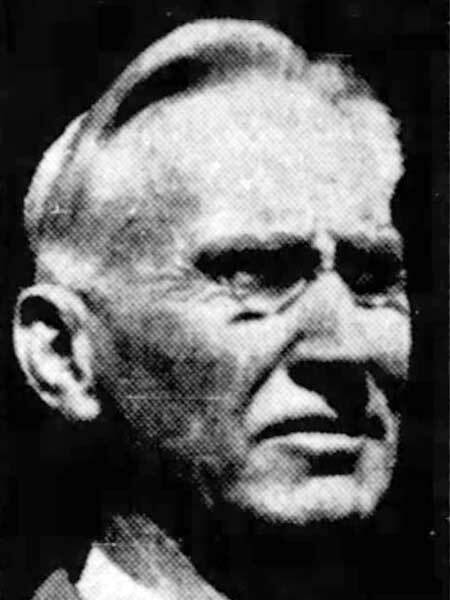 He taught school at Forrest and Dutton, Ontario then moved to Manitoba in 1902, serving as Teacher (1902-1910) and Principal (1910-1922) of the Brandon Collegiate Institute and Principal of St. James Collegiate from 1922 until 1930 when he returned to teaching until retirement in June 1936. He served as Secretary (1905-1906, 1909-1910) and President (1923-1924) of the Manitoba Educational Association. He died at Strathroy, Ontario on 14 January 1947. “Retiring teachers agree school system should be changed, disagree as to how,” Winnipeg Tribune, 4 May 1936, page 18. “An appreciation,” Manitoba School Journal, Vol. 9, No. 6, February 1947, page 6.